Last evening in Chattanooga, I paid my respects at the wake of Sgt. Tim Chapin. He was murdered a few days ago in a running gun battle with a heavily armed robber. The same punk wounded another Chattanooga cop, Officer Lorin Johnston, before a hail of police gunfire took the perp apart. The cop-killer was wearing a ballistic vest, and that and excellent trauma care saved his worthless life to stand trial and face a well-deserved lethal injection. 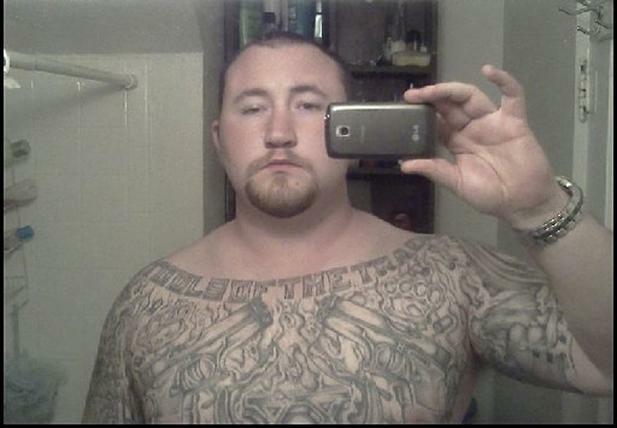 The killer is said to be a white supremacist with a long history of violent crime, released not long ago to a halfway house from which he walked away to begin the one-man crime wave that ended so tragically in Chattanooga. Driving through the city to Abba’s House, a huge and immaculate contemporary church where the funeral will take place today, it seemed that every business marquee in the city expressed its condolences to the slain policeman’s family and colleagues. The line of those coming to pay homage to the martyred cop and his family seemed endless. I stood in that line for a little over an hour and a half. I didn’t complain, I took emotional nourishment from it. While many of those good people were cops, many were ordinary citizens. It is good to see when a cop is murdered in the line of duty, when a firefighter is burned to death rescuing a child from a flaming building, when a paramedic is crushed to death trying to extricate an accident victim, that the members of the community they serve turn out to show their appreciation of their sacrifice. Officer Johnston, the cop who was wounded, gave one of his kidneys to a brother officer four years ago and saved that man’s life. 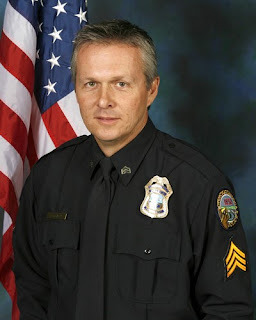 Sergeant Chapin had risked his life for the citizens of Chattanooga for 26 years before that life was torn from him in the line of duty last weekend. It is good to see a community that respects and appreciates that. An educational trust fund has been started for Sgt. Chapin’s children. Below is the information on it if interested. The cop-killer. Pay attention to the tattoos.